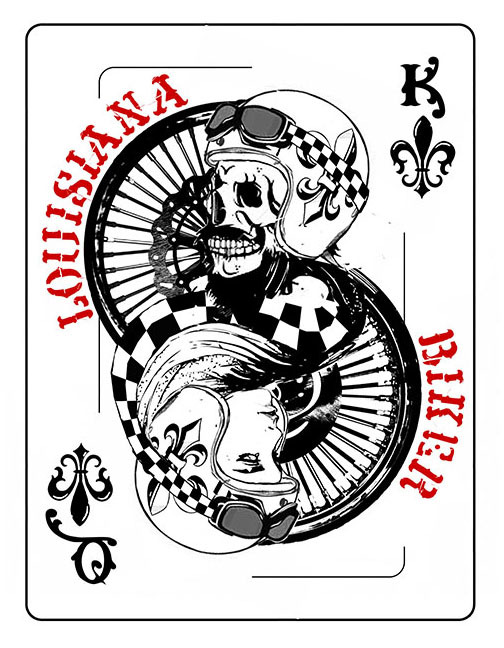 Louisiana Biker Magazine is serious about our slogan, "By, For, and About Louisiana Bikers". We have put together a distribution network that covers the entire state, and our publishers will personally be visiting every major city in Louisiana each month. We will also be in the field regularly at events and bike nights, doing direct distribution. Circulation and active readership is the key to succesful advertising, and by meeting the needs and interests of our readers, we will maintain the audience needed to make your ad campaign work. Our ad rates are based on our distribution. A full page ad costs much less than printing a color flyer, but also includes distribution to a targeted audience, and a strong online presence. Our Facebook page already has far more Engagement than all other equivalent magazines in the state put together, as you can see on our Stats page. Our WWW page is becoming much more than the usual magazine website, which will maintain an active audience as well, and paid print ads will appear there as well. This business section will contain resorces to help support your business, whether you are an advertiser, a supplier, or a distribution point. You can order and pay for ads online, greatly simplifying the process, saving time, and increasing accountability. Why Advertise with Louisiana Biker? Why Advertise in Louisiana Biker Magazine?